Many of us grew up playing Dungeons & Dragons and a host of other tabletop games using just our imaginations, or maybe some purchased map packs, hex grids, or even hand-drawn maps to visualize the game world. 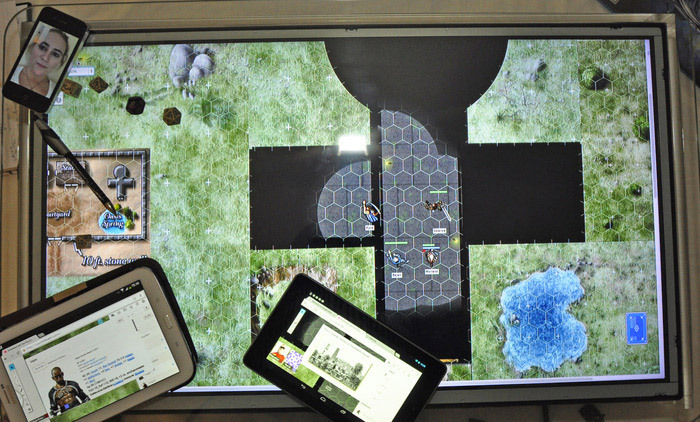 This Kickstarter-backed gaming surface wants to take tabletop gaming to a whole new place. 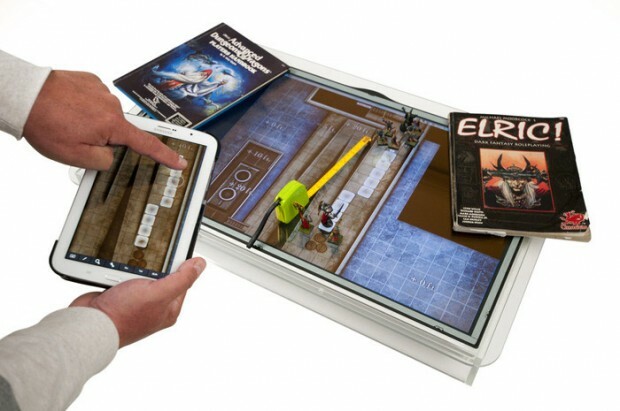 The surface is a rugged HDTV panel embedded in a coffee table that comes bundled with sophisticated software to adapt it specifically to the world of role-playing games. The 1920 x 1080 LCD panel is available in sizes of either 32″ or 42″ (diagonal) and has VGA, USB, HDMI and Bluetooth connectivity. And the whole thing is surrounded by acrylic to keep it safe from Cherry Coke spills and Cheetos crumbs. The Kickstarter campaign ends July 6, 2014. 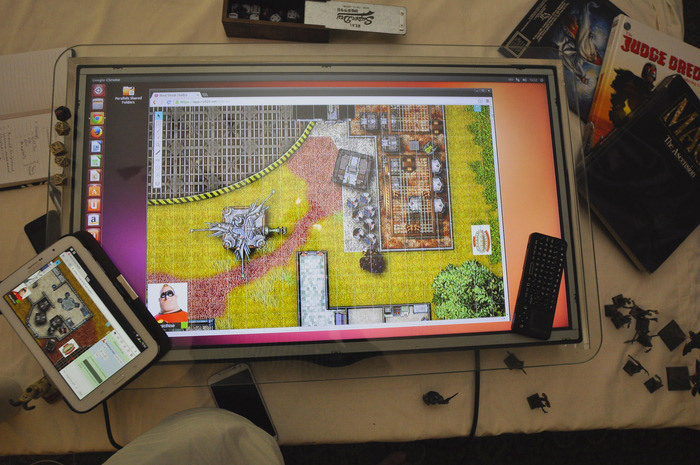 A pledge of £365 (~$613 USD) is needed to get the entry-level 32″ unit. 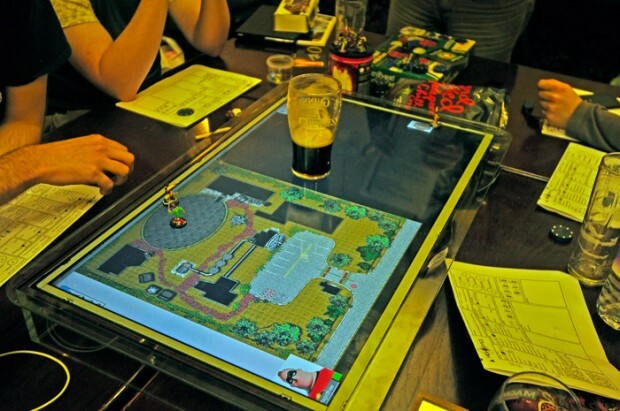 We’d love to see this be successful because it really could change the way our all-night D&D sessions go.